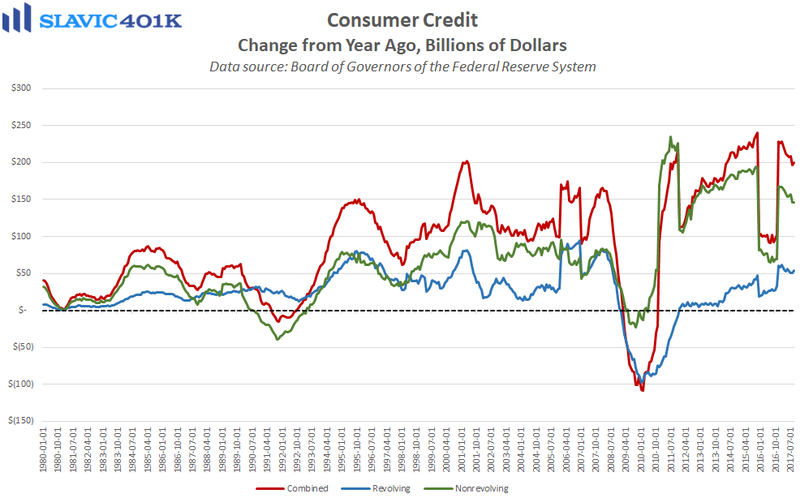 The latest report from the Federal Reserve Board of Governors on Americans’ borrowing activity showed that total U.S. consumer credit outstanding rose by $20.8 billion in September (lagged release) to $3,787.9 billion. That was a larger increase than economists anticipated and the biggest monthly gain in nearly a year. Non-revolving credit, e.g. student and automobile loans, rose by $14.4 billion in September, the 73rd monthly increase in a row, and revolving credit, which is mostly consumers’ credit cards, lifted by $6.4 billion. 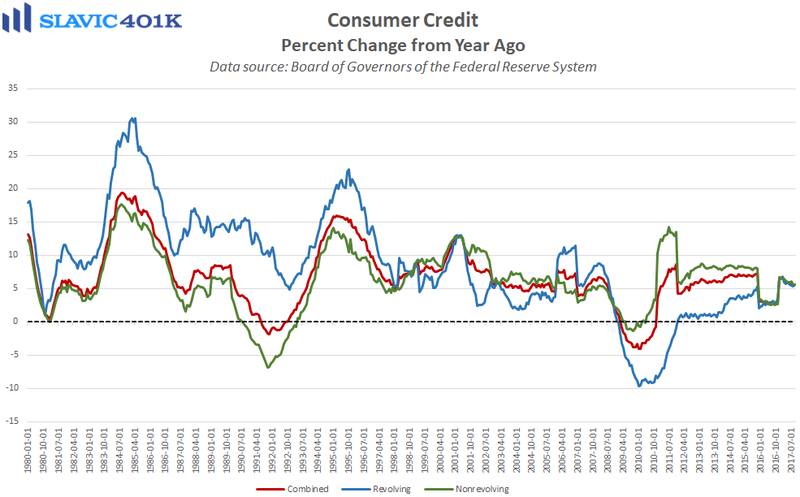 The solid gains seen in revolving credit recently, along with near-record confidence gauges and an accelerating decline in Americans’ savings rate, help explain the 1.0 percent jump in consumer spending that occurred in September despite sluggish wage growth. 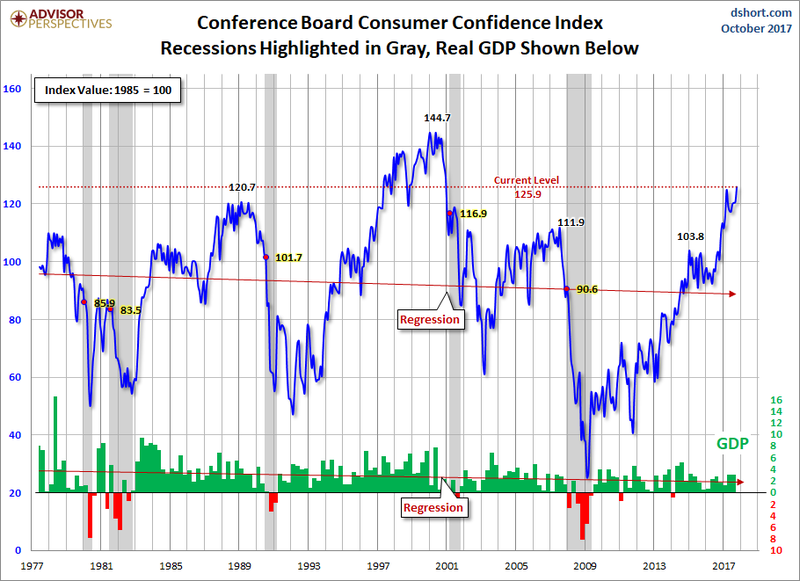 This kind of consumer behavior bodes well for near-term gross domestic product (GDP) growth but is not sustainable in the long run without a more pronounced improvement in household incomes.